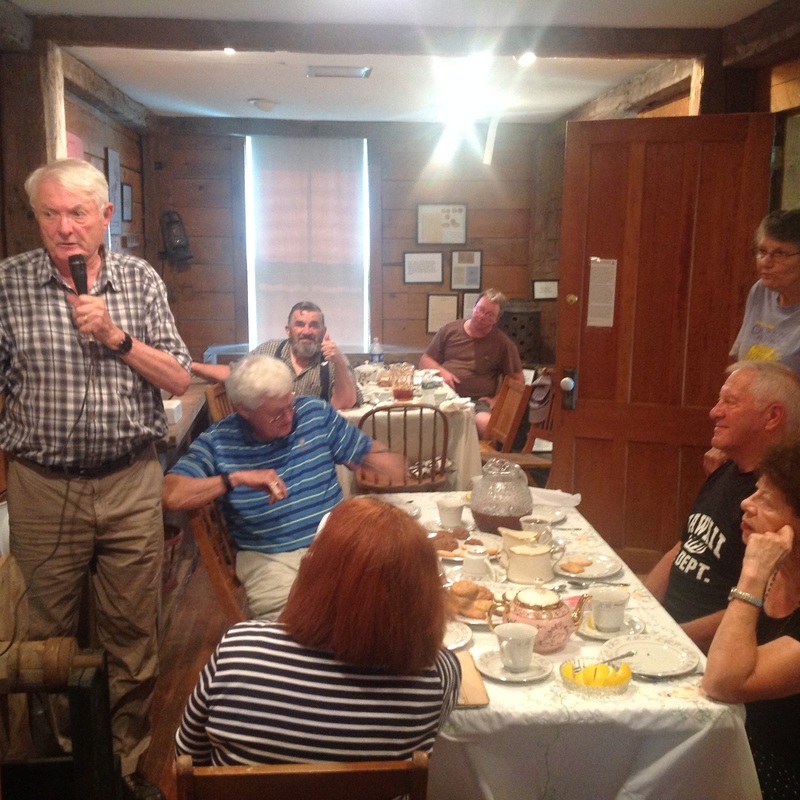 Don and Gil Warrin reminisced with visitors to the Saddlemire Homestead on Saturday, Aug. 13, 2016 about the the Tea House owned and operated by their great-aunt Lesley Brower in the town of Knox from 1927-1941. The Tea House was well-known for its excellent food and home-grown fruits and vegetables. The Tea House was located in the former home of Merriman Nasholds on Route 156. Because Nasholds had repaired wagon wheels, Brower used wagon wheels to advertise her restaurant. Little merrymen decorated the wagon wheel. 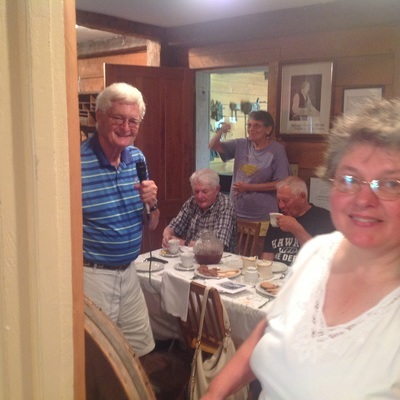 Visitors to this celebration of the Tea House were treated to tea, cookies, and good stories and had a chance to renew friendships with Don and Gil Warrin who had many happy memories of summers spent in Knox during their childhoods. 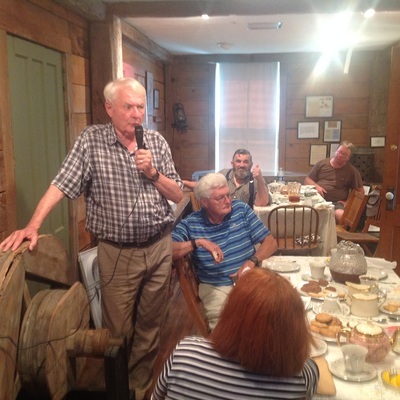 ​Over the course of 2019, KHS will be scanning pages from the Merrymen's Guest Book Below is a 19-page PDF of all the 1927 entries.